When the listing of The 400m Peaks of England was published on the RHB Yahoo Group file database it was during a time when the limits of listing P30 hills was being pushed ever downward beyond the 500m barrier, there were two main instigators behind this burst of listing activity; Clem Clements concentrating on 300m – 500m Scottish, English and Welsh hills and Myrddyn Phillips concentrating on 30m – 500m Welsh hills and 400m – 500m English hills. The master hand written list was maintained by Myrddyn Phillips with the original publication on the RHB Yahoo Group file database later being duplicated en masse by Mark Jackson without prior consultation with, or even notification to the author, with these data forming the equivalent part of the Tumps and with this act resulting in years of undue data divergence that is ongoing. It wasn’t until the interest shown by Mark Trengove for this list to be published by Europeaklist that it was next fully re-evaluated, and leading up to this publication occasional updates to the list were posted to the RHB Yahoo Group forum. The subsequent Europeaklist publication on 15th December 2013 was entitled The Fours and led the way to the list becoming co-authored with Aled Williams. The listing of The Fours was later published on 6th January 2014 by Phil Newby on his Haroldstreet website, and all future updates to the list have been catalogued on the Mapping Mountains site. Although the criteria has remained the same the list has changed greatly since its first publication and now has an accompanying comprehensive and standardised Sub list, and benefits from accurate numerical data produced by independent surveyors and the analysis of LIDAR data, as well as the meticulous research conducted by Aled Williams enhancing the place-name data. The listing is also gaining in popularity as there are now two known completers of The Fours with another 38 people having completed 100 or more of these hills. 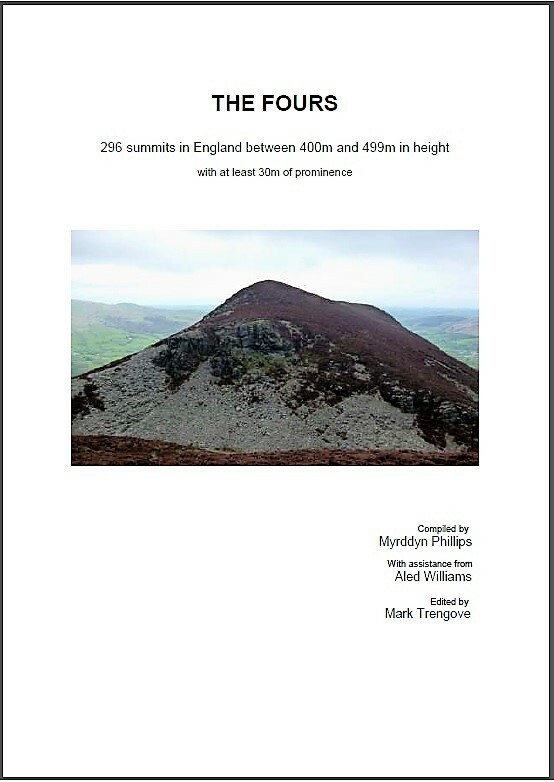 It seems fitting that the list of The Fours – The 400m Hills of England should now benefit from a detailed Change Register, and although the updates to this list have been catalogued since its first inception in 2002, it is prudent for this Change Register to initially detail the major changes to the list leading up to the December 2013 publication by Europeaklist. 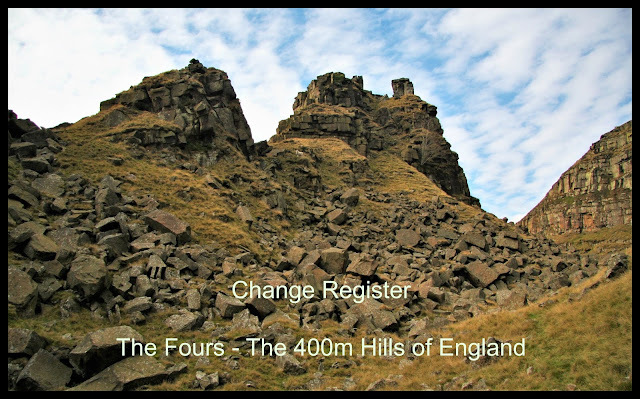 The Change Register to The Fours – The 400m Hills of England appears below with the reclassifications to the main P30 list being detailed chronologically in receding order. 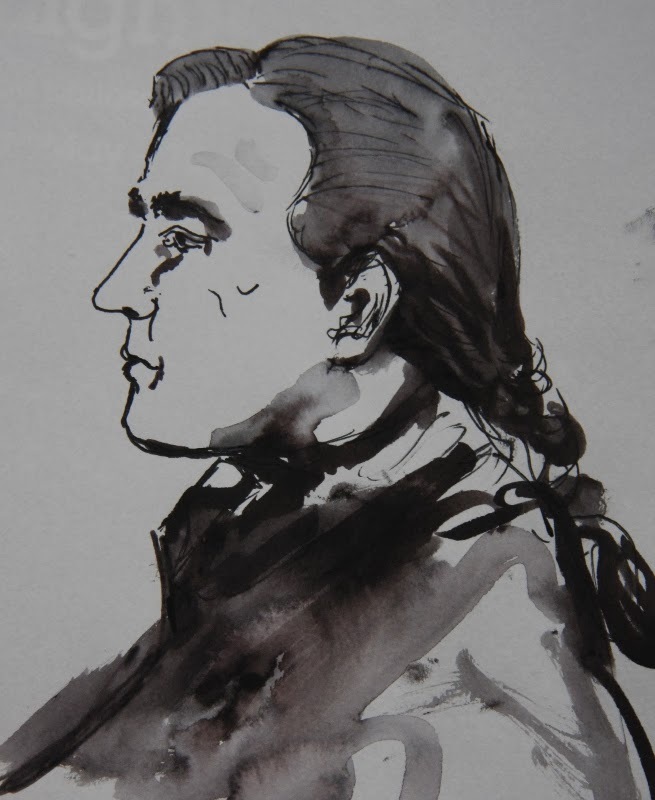 24th April 2018 – Haroldstreet publishes The Fours. Four total confirmed as 296. 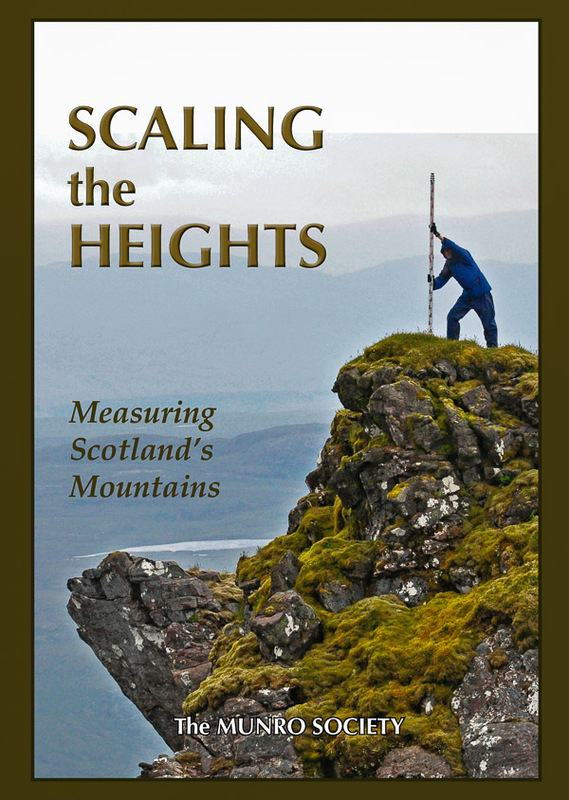 24th April 2018 – Mapping Mountains Publications publishes The Fours. The reclassification of this hill to Four status was announced when the 2nd edition of The Fours was published by Mapping Mountains Publications on the 24.04.18, with a Hill Reclassifications post then appearing on Mapping Mountains on the 09.07, the hill was previously listed as a 400m Sub-Four with c 26m of drop based on a summit height of c 483m which was ascertained from an optical survey from the summit of Baystones (486.9m at NY 40312 05143) which concluded that Wansfell Pike is at least 4m lower, and an estimated col height of c 457m based on col contouring at 10m intervals and between 450m – 460m on the Ordnance Survey 1:50,000 Landranger and 1:25,000 Explorer maps. This hill’s reclassification is due to LIDAR analysis of the summit coupled with the 483.717m height given to a buried block in the OS Trig Database and data on the OS Maps website, which is the recent replacement for OS Get-a-map. This mapping has 5m contour intervals enabling the estimated height of the col to be narrowed down, and with an estimated col height of c 453 – c 454, based on contours between 450m – 455m, these values are sufficient to list this hill with c 30m of drop and classify it as a Four. Four total increases by one and confirmed as 296. The reclassification of this hill to Four status was announced when the 2nd edition of The Fours was published by Mapping Mountains Publications on the 24.04.18, with a Hill Reclassifications post then appearing on Mapping Mountains on the 22.06.18, the hill was previously listed as a 400m Sub-Four with c 28m of drop based on the 465m summit spot height that appears on the Ordnance Survey 1:25,000 Explorer map and an estimated col height of c 437m based on 430m – 440m col contours at 10m intervals. This hill’s reclassification is due to analysis of data on the OS Maps website, which is the recent replacement for OS Get-a-map. This mapping has 5m contour intervals enabling the estimated height of the col to be narrowed down, and with an estimated col height of c 433m, based on contours between 430m – 435m, these values give this hill c 32m of drop, which is sufficient for it to be classified to Four status. Four total increases by one and confirmed as 295. This hill’s reclassification from Four status was announced when the 2nd edition of The Fours was published by Mapping Mountains Publications on the 24.04.18, with a Hill Reclassification post appearing on Mapping Mountains on the 18.05.18, the hill was previously listed with c 30m of drop based on the 468m summit spot height that appears on the Ordnance Survey 1:50,000 Landranger and 1:25,000 Explorer maps and an estimated col height of c 438m. This hill’s reclassification to 400m Sub-Four status is due to LIDAR analysis conducted by Aled Williams resulting in a 468.4m summit height and a 440.2m col height, with these values giving this hill 28.2m of drop, which is insufficient for it to retain its Four status. Four total decreases by one and confirmed as 294. The reclassification of this hill from 400m Sub-Four to Four status was announced when the 2nd edition of The Fours was published by Mapping Mountains Publications on the 24.04.18, with a Hill Reclassifications post subsequently appearing on the Mapping Mountains site on the 15.05.18, the hill was previously listed with 28m of drop based on the 419m summit spot height that appears on the Ordnance Survey 1:50,000 Landranger map and the 391m col spot height that appears on the Ordnance Survey 1:25,000 Explorer map. This hill’s reclassification is due to LIDAR analysis conducted by Aled Williams resulting in a 419.6m summit height and a 389.6m col height, with these values giving this hill 30.05m of drop which is sufficient for this hill to be listed as a Four. Four total increases by one and confirmed as 295. The reclassification of this hill to a 400m Sub-Four was announced on the Mapping Mountains site on 25.04.17, with the Hill Reclassifications post appearing on Mapping Mountains on the 27.04.17. The hill had previously been listed as a Four with c 30m of drop based on an estimated summit height of c 406m with uppermost ring contouring of 405m on Ordnance Survey 1:25,000 Explorer maps and an estimated col height of c 376m with col contouring between 375m – 380m. The hill was subsequently surveyed on the 25.03.17 by Myrddyn Phillips with the Trimble GeoXH 6000 resulting in a 404.6m summit and 375.6m col height which gives this hill 29.0m of drop which is insufficient for its continued status as a Four. Once in receipt of these details Aled Williams then analysed them against LIDAR data resulting in a 404.6m summit and 375.3m col height which gives this hill 29.3m of drop. Four total decreases by one and confirmed as 294. This is the first hill reclassified from a Four to a 390m Sub-Four through surveying with a GNSS receiver and the hill’s reclassification was announced on the Mapping Mountains site on 07.11.14, its previous status as a Four was reliant upon a small 400m ring contour at its summit on current Ordnance Survey maps, but its continuing status in the main list was always under threat as the only absolute height found for this hill was the 1311ft (399.6m) height on the Ordnance Survey 1:10,560 map. The hill was subsequently surveyed on the 05.11.14 by Myrddyn Phillips with the Trimble GeoXH 6000 resulting in a 399.5m summit height. Four total decreases by one and confirmed as 295. This hill’s reclassification as a Four was announced on the RHB Yahoo Group forum on 27.09.13, its qualification was based on the 1321.4ft (402.76m) levelled height on the Ordnance Survey 1:2,500 map, which matches the rounded up 403m spot height that appears on the old Ordnance Survey 1:50,000 Landranger map, this height is taken to the earthen ramparts of an ancient Iron Age Hill Fort, and is in contrast to the 399m spot height that is currently shown on Ordnance Survey mapping that is taken to the lower central part of the ancient structure. The hill was subsequently surveyd by Myrddyn Phillips on 14.11.14 using the Trimble GeoXH 6000 resulting in a height of 402.7m. Four total increases by one and confirmed as 296. An inclusion in the Sub list when The 400m Peaks of England was first compiled and it was subsequently reclassified to the main P30 list with c 30m of drop by Rob Woodall who augmented data supplied by Clem Clements. The details for this hill were re-interpolated and as a result it was re-instated as a 400m Sub-Four based on its 436m summit spot height and a 416m col spot height, with the latter appearing on the Ordnance Survey enlarged mapping hosted on the Geograph website, these values give this hill only 20m of drop which is the minimum qualifying drop value for inclusion as a 400m Sub-Four. The area of this hill’s col has been extensively quarried and therefore the natural col may no longer exist. The reclassification of this hill back in to the ranks of 400m Sub-Fours was accepted on 20.09.13 when Region 36 was completed during the preparation of the list for Europeaklist publication. Four total decreases by one and confirmed as 295. This hill was originally listed as Brand End in the Sub list that accompanied The 400m Peaks of England and was only reclassified to the main P30 list with c 33m of drop by Rob Woodall who augmented data supplied by Clem Clements. The details for this hill were re-interpolated and as a result it was re-instated as a 400m Sub-Four based on its 407m summit spot height on the Ordnance Survey enlarged mapping hosted on the Geograph website and an estimated col height of c 378m based on col contouring between 375m – 380m, these values give this hill c 29m of drop. The reclassification of this hill back in to the ranks of 400m Sub-Fours was accepted on 20.09.13 when Region 36 was completed during the preparation of the list for Europeaklist publication. Four total decreases by one and confirmed as 296. This hill was originally listed as Malham Moor in the Sub list that accompanied The 400m Peaks of England and was only reclassified to the main P30 list with c 30m of drop by Rob Woodall who augmented data supplied by Clem Clements. Re-interpolation of map detail resulted in this hill’s re-instatement as a 400m Sub-Four based on its 411m summit spot height and an estimated drop of c 29m based on a col height of c 382m. The reclassification of this hill back in to the ranks of 400m Sub-Fours was accepted on 08.08.13 when Region 35B was completed during the preparation of the list for Europeaklist publication. Four total decreases by one and confirmed as 297. Originally listed in the Sub list that accompanied The 400m Peaks of England this hill was only listed in the main P30 list with c 30m of drop by Rob Woodall who augmented data supplied by Clem Clements. This hill was re-instated to the 400m Sub-Four list after comparing photos of the summit area in relation to the height given the flush bracket on the triangulation pillar, levelled heights on the summit and the area of the col on Ordnance Survey 1:2,500 maps and repeated journeys over the road passing over the col in a Google Car on Google maps, this extensive research resulted in the hill being listed with 29m of drop. The reclassification of this hill back to 400m Sub-Four status was accepted on 04.08.13 when Region 35A was completed during the preparation of the list for Europeaklist publication. Four total decreases by one and confirmed as 298. This hill was originally listed in the Sub list that accompanied The 400m Peaks of England and was reclassified to the main P30 list as a Four with c 31m of drop based on a combination of Ordnance Survey (430m – 440m) and Harvey Maps (420m – 435m) col contouring, this information suggests that the col is between 430m – 435m high with an estimated col height of c 433m. The reclassification of this hill to a Four was announced on the RHB Yahoo Group forum on 03.08.13. Four total increases by one and confirmed as 299. 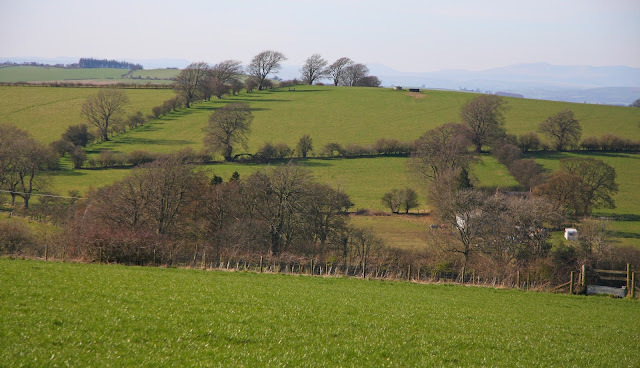 When The 400m Peaks of England was originally compiled this hill was listed in the Sub list and was only reclassified to the main P30 list with c 30m of drop by Rob Woodall who augmented data supplied by Clem Clements. 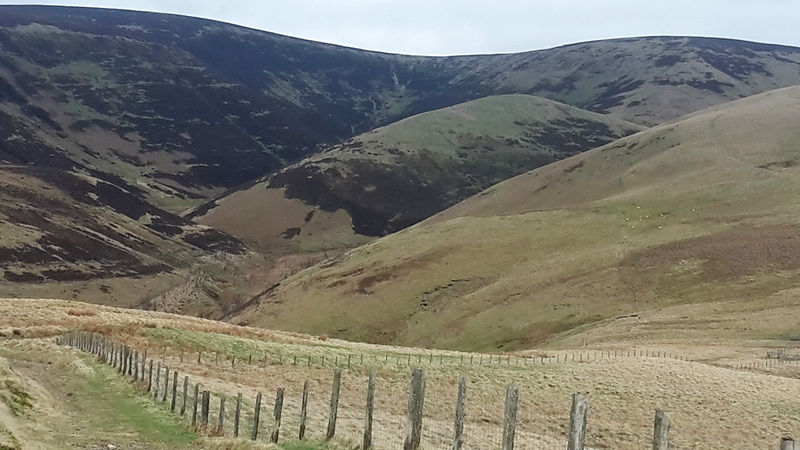 This hill was re-instated to the 400m Sub-Four category using data from Harvey Maps as well as that from Ordnance Survey maps, with the summit being given a 463m spot height and the height of the col estimated as c 436m, giving this hill only c 27m of drop. The col height for this hill is estimated from the comparison of col contours on the Ordnance Survey map (430m – 440m) and the Harvey Map (435m – 450m), based on these contours the height of the col is between 435m – 440m and is estimated as being c 436m high. The reclassification of this hill back to 400m Sub-Four status was accepted on 09.07.13 when Region 34B was completed during the preparation of the list for Europeaklist publication. Four total decreases by one and confirmed as 298. This hill was originally listed in the Sub list that accompanied The 400m Peaks of England and was only reclassified to the main P30 list with c 31m of drop by Rob Woodall who augmented data supplied by Clem Clements. With a 486m summit spot height and a 457m col spot height, with the latter appearing on the Ordnance Survey enlarged mapping hosted on the Geograph website, this hill only has 29m of drop and its re-instatement to the ranks of 400m Sub-Four was accepted on 07.07.13 when Region 33 was completed during the preparation of the list for Europeaklist publication. Four total decreases by one and confirmed as 299. 5th July 2013 – started re-appraisal of data for forthcoming Europeaklist publication of The Fours. Four total confirmed as 300.